Partly cloudy skies. Gusty winds during the evening. A stray shower or thunderstorm is possible. Low 39F. WNW winds at 25 to 35 mph, decreasing to 5 to 10 mph.. Partly cloudy skies. Gusty winds during the evening. A stray shower or thunderstorm is possible. Low 39F. WNW winds at 25 to 35 mph, decreasing to 5 to 10 mph. At Osheim & Schmidt Funeral Home, we believe in the value of human life and the importance of recognizing and celebrating a life that was lived. We assist in arranging appropriate services that best meet individual emotional and financial needs. We strive to conduct desired services with the utmost care, dignity, respect, personalization and professionalism. 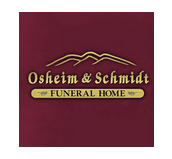 Osheim & Schmidt Funeral Home, formerly Osheim-Catron Funeral Home, has been serving Rapid City and the surrounding areas as a family owned and managed funeral home since 1946. Our knowledgeable staff has over 135 years of combined experience helping families in their time of need. Founded in 1946 by Don Hobart, the business was originally located on Kansas City Street between 9th Street and West Boulevard. The funeral home was named Hobart Funeral Home, and it included an ambulance service. In 1964, Dennis Catron purchased Hobart Funeral Home and renamed the business Catron Funeral Home. Mr. Catron built the present facility, which opened for business in 1968. In 1974, Catron Funeral Home was purchased by Ozzie Osheim. The firm became Osheim-Catron Funeral Home. In February of 2008, Robb and Barbara Schmidt carried on the local, family-owned tradition when they acquired the business. 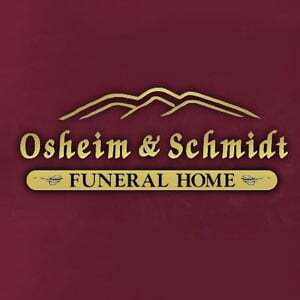 It became Osheim & Schmidt Funeral Home, with Ozzie Osheim remaining an integral part of the operations. Please know that we welcome any questions or suggestions that you might have about the services that we offer. We encourage you to stop by for a visit, or contact us at (888) 314-0077 or (605) 343-0077. Thank you for visiting. 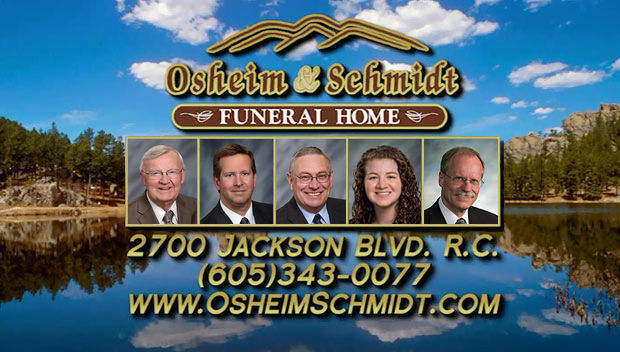 Staff members of Osheim & Schmidt Funeral Home are caring and experienced professionals who understand that each family is unique and has personal requests and traditions. These requests and traditions are of utmost importance to our staff of licensed funeral directors. We welcome and encourage any questions or suggestions that you may have regarding the services we offer. Stop by for a visit, or contact us at (888) 314-0077 or (605) 343-0077. Pre-Arranging your funeral services is the best way for you to be there for your family and loved ones. Nothing can take away the pain, but we can help lessen the burden of uncertainty through advanced planning. Pre-arrangement is the best way to give your loved ones a peace of mind in a time of mourning.